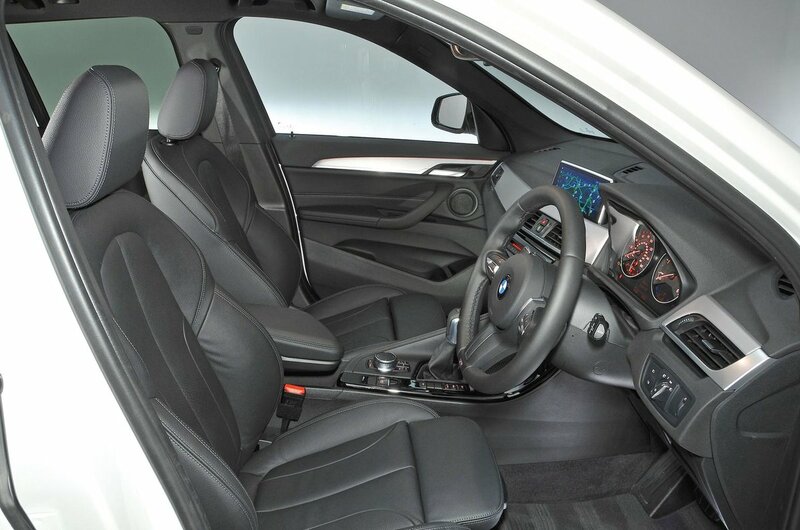 BMW X1 Performance, Engine, Ride, Handling | What Car? The entry-level diesel (badged 18d) is available with a choice of two- or four-wheel drive (sDrive or xDrive), whereas all other engines come with four-wheel drive only. It's partly for that reason we reckon the sDrive18d is the pick of the range. It's not only the cheapest option, it's also the most frugal, which also means attractive monthly tax bills for company car drivers. Despite that, performance is still more than punchy enough, making the more powerful 20d and 25d seem unnecessary. 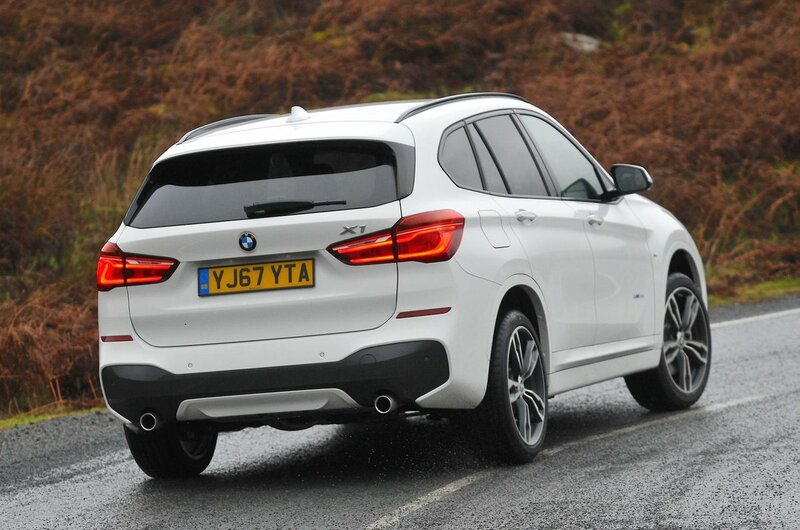 We'd avoid with 189bhp 2.0-litre petrol; the diesel engines are better suited to the X1. Compared to its stiffly sprung and unforgiving predecessor, the latest X1 is much improved. Admittedly, it is still stiffer than the small SUV norm, sometimes becoming unsettled over really rough roads, but this does seem in keeping with BMW’s sporting remit. Naturally, the ride is most soothing on the smallest wheels as fitted to SE trim models, but it is still acceptable on the larger wheeled variants. We'd advise avoiding the run-flat tyres though; their stiff sidewalls don't help comfort. Adaptive dampers are optional, allowing you to stiffen the suspension to improve cornering or slacken it for added comfort by pressing a button. While the different modes do make a noticeable difference, even the softest setting still delivers a fairly firm ride. 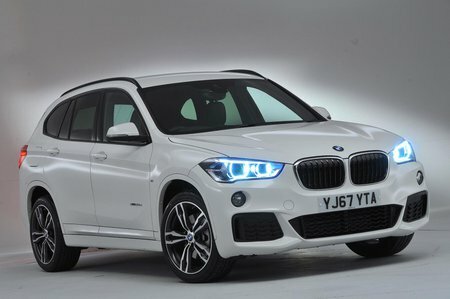 Most versions of the BMW X1 come with four-wheel drive as standard, although the entry-level diesel (badged 18d) is available with front-wheel drive. While this does help economy, you do occasionally feel the steering wheel writhing in your hands when you accelerate quickly – this is a phenomenon know as torque steer. Whether you opt for two or four-wheel drive, the steering is weighty and precise, which makes it easy to place the X1 on the road; it's no hot hatch but there's a reasonable amount of feedback. Meanwhile, the stiff suspension ensures there’s precious little body roll even when cornering. All in all, the X1 is a very stable thing at all speeds and is more fun to drive than its main rivals, the VW Tiguan and Mercedes GLA. There’s some wind noise on the motorway although not enough to bother you too much. More of a worry is the amount of road roar the X1's tyres generate – the noise is loud enough at 70mph to force you and your passengers to raise your voices. The diesel engines can sound a bit gruff under hard acceleration, but they’re quiet at a steady cruise and transmit little vibration through the controls. The manual gearbox is a big improvement over the previous X1's although it's still a little stiffer than we'd like; a VW Tiguan's is slicker, for example. An eight-speed automatic 'box is optional on all engines and standard on 20i and 25d models. It's one of the best automatic gearboxes in this class but adds a fair bit to the price.